In an attempt to better understand the technical, legal and sociological impact of decentralized autonomous organizations (DAOs) a group of researchers is planning to launch a DAO that would seek to “save the whales”. Far from an elaborate trolling, the early-stage effort is backed by big universities and researchers seeking to develop a new understanding of how leaderless organizations, powered by a collection of global stakeholders and enabled blockchain technology, could have a real-world impact on wildlife. To date, the effort is being led by researchers at the University of Toronto Faculty of Information and the University of California, Irvine, and will use funds from a National Science Foundation (NSF) grant awarded to the UC Irvine team to fund investigations on the legal implications of advancements in blockchain technology. In interview, University of Toronto PHD student Quinn DuPont acknowledged that while the idea “started as a joke”, it could raise awareness of, and potentially provide funding to, sea creatures in need. DuPont explained that the idea would find the researchers actually coding and launching a DAO that would “autonomously care” for a pod of Orca whales in the Pacific Northwest. As these gentle giants swim beneath the waves, this new DAO, he said, could be created to dispense funds to researchers working to study the species as a whole. The project would further envision how DAOs might be used by charities, potentially removing some of the issues consumers have long voiced with the centralized management of non-profit entities. To add further curiosity to the story, the idea is, no joke, based on concepts from medieval law. The researchers, he explained, don’t have specific expertise in aquatic life, and could therefore seek to transition the DAO to others qualified to run the organization, should it launch with such a design. Still, DuPont sees value in galvanizing a community around such an idea, as it would enable animals a way to exercise legal rights for the first time. “As the original author of the idea stated, ‘This is not ‘save the whales,’ it’s ‘Give the whales the tools to save themselves,'” DuPont said. The news comes just one week after the launch of first large-scale DAO — a DAO meant to fund Ethereum projects known as The DAO — confused international reporters and sparked a global conversation on the nature of how blockchain-based organizations empower the rights of participants. To date, a wide range of experts, from tax attorneys to industry observers, have so far weighed in as part of an effort to develop public understanding of the emerging subject. While the project may seem like a last-minute idea meant to capitalize on public interest in a new technology, DuPont indicated that conversations have been underway about the project since as far back as early 2014. It was then that users of an Ethereum.org discussion forum first began to theorize how DAOs could potentially serve the needs of those who are unable to represent themselves in a traditional court of law. Still, DuPont said the success of The DAO has re-energized his team and helped to empower its vision. “I’ve thought about this idea for a while, this is a provocative entrance into DAOs. Then when The DAO came up, I thought this sounds like as good an opportunity as ever to explore,” he said. DuPont acknowledged the “nuts and bolts” of the idea have yet to be ironed out, but that the “farcical example”, if properly developed and employed, could go a long way toward helping the public understand the power of blockchain-based DAOs. Currently, the plan is for the DAO to be led by Bill Maurer, a cultural anthropologist at UC Irvine, with support from DuPont and potentially other researchers who have yet to become more formally involved. In statements, Maurer described the project in more scientific terms, framing it as one that grew out of his mandate to explore how bitcoin and blockchain technology are “unleashing experiments with money and payment”. “Our engagement with the DAO is a way to use the classic method of cultural anthropology – participant-observation – in order to delve more deeply into this shift,” he said. In this way, he sees the “Save the Whales DAO”, as DuPont called it, as a way to provide the researchers with “linguistic familiarity” on the topic so that they can engage others in conversations about the nature of DAOs. How this will come to life remains to be seen, but DuPont envisions such a DAO could one day be involved in helping provide solutions to serious issues, such as the dangers sealife face from man-made catastrophes. 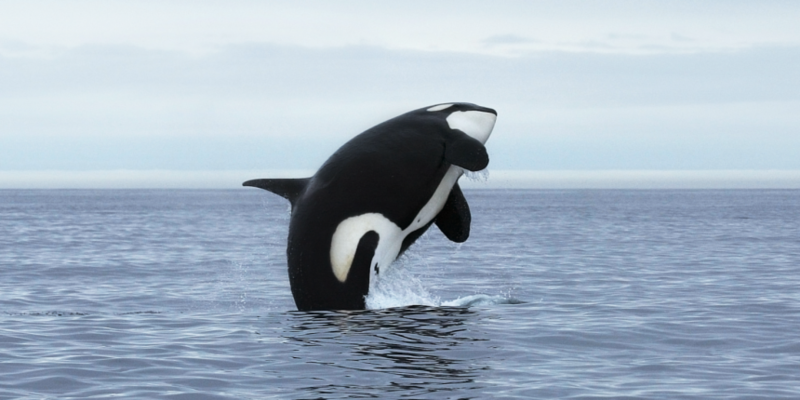 As for exactly how funds could be raised, how the documentation for the project would be formalized and when the DAO might exist, as the orca whales it derives inspiration from, in the wild, DuPont was less clear.